Shyrose is a qualified and licensed Early Childhood Educator as well as a certified Montessori teacher. 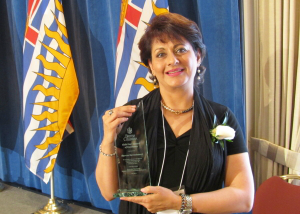 She serves as the Vice-Chair of the city of Richmond’s Child Care Advisory Committee for the past twelve years and has been a longstanding member of the Richmond Child Care Resource and Referral Service as well as Early Childhood Educators of British Columbia. Shyrose constantly engages in ongoing professional development to pursue excellence in education, organizes and presents workshops and also provides parents with updates on child development through the Center’s newsletters. Shyrose has mentored several student teachers at Rise & Shine in the past. She holds open houses and often hosts meetings at her center for other early childhood educators, thus encouraging colleagues to work in a team environment. Ms. Rose, as she is respectfully known by the children, dedicates many hours to support the development of children and their education. 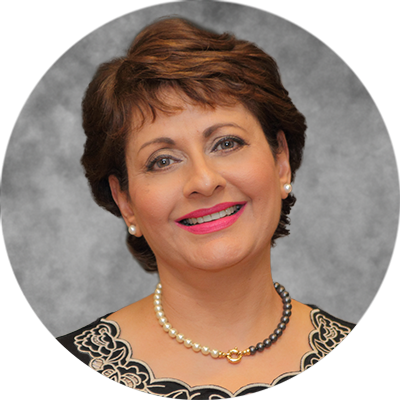 Committed to her field, she seeks innovative approaches to encourage and educate the children in her care, whilst engaging the families in a strong sense of community. 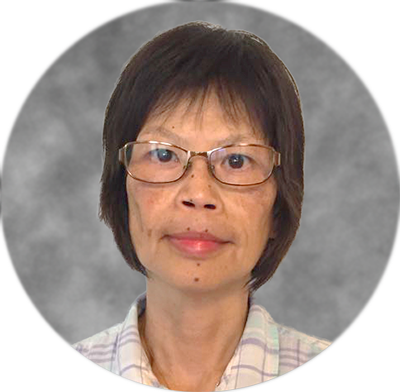 Mabel brings important skills to the centre such as fluency in Cantonese as well as English and has been working and teaching in the field for over 25 years. 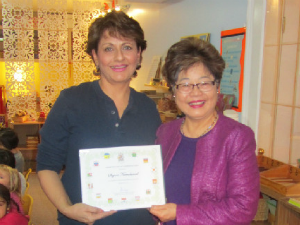 Ms. Mabel, as she is fondly known by the children, has her Early Childhood Education Certificate, Montessori Training. She brings valuable skills to Rise and Shine with her Infant/Toddler Certificate as well as Special Needs Training. Through her varied experience and continued commitment to professional development of current practices, Ms. Mabel is always striving to make learning fun and more interesting. Ms. Mabel is a loyal, hard- working teacher, dedicated to the betterment of our students. She is an excellent asset to Rise & Shine. All staff are trained in First Aid and undergo a regular criminal record check.